The year was 1990. I was a little under four feet tall, above average for a five going on six year old. And I was rockin’ my neon pink and sky blue swimming suit and heart-shaped sunglasses. I climbed up the stairs leading to the swimming pool for my first swimming lesson. When I reached the top, I stopped, staring at the shining blue mirror that glistened under the summer sky. All of a sudden, it grew into a saber-toothed monster, threatening me with its snapping jaw, shimmering with chlorine-drenched saliva. And I refused to take another step into the water. My mother sighed under the scanty shade of the fig tree, which was no match for the sweltering 100 degree So Cal summer. Her round belly seemed to groan as well, a 7 month old pre-born baby brother nestled inside. And then came the diving lessons. Let’s just say that didn’t go very far. I think my swimming instructor gave up on me. My point is, I’ve always been overly cautious about everything. It’s taken me longer than most people to do things simply because I was too scared to do them. A couple of weeks ago, something happened that broke my heart a little bit. And it made me decide that I wasn’t just going to continue on the way I have. It was time I did something for my own life for once instead of always doing things to make other people’s dreams come true. Instead of waiting for my dreams to come true, for true love to come find me, for life to begin. Instead of always talking but never doing. 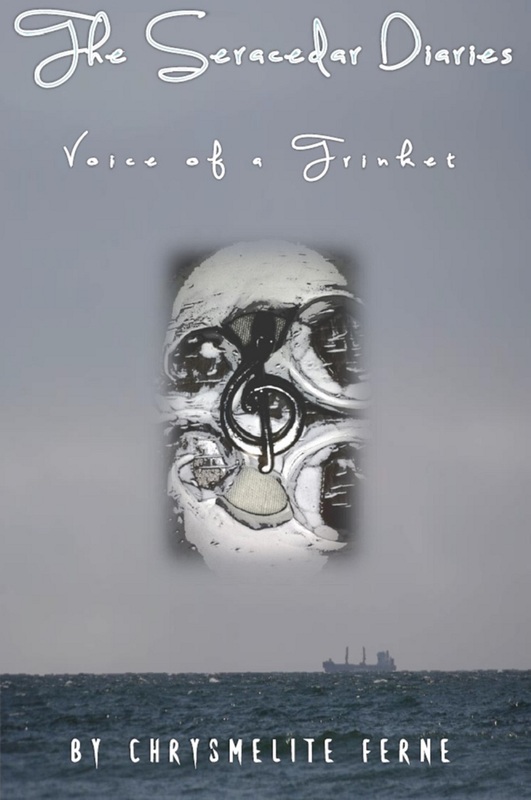 So I e-published my first novel on Kindle. Designed my own cover instead of waiting for friends who promised to help me, only to never follow through. And I’m not blaming them…it’s my project after all, and I just have to do everything myself if I want to accomplish my own goals. Anyway, here is the link to my first self-published novel! It’s actually free if you are an Amazon Prime member. At this point, I’m just happy if someone will read it! And if you do decide to support me, I hope you’ll enjoy reading and give me some feedback! Terran, emperor of the fairy kingdom Seracedar, seeks to add to his ever-increasing harem, and Rilla is well on her way to becoming his next concubine, especially if anyone learns of her talent—to heal any ailment, including old age, through her singing. But she is determined not to become the decrepit old man’s new bride. So during the Showcase, the first phase of the concubine selection process, Rilla sabotages her audition. However, despite her wish to be sent home, things don’t go as planned, and she becomes a maid, called a trinket, to the royal family. All in all, her fate could be far worse, so Rilla can’t complain. She serves a lenient, eccentric mistress, and she even finds a friend in the brooding, but handsome Prince Carrick, who is far more pleasant than his terrible father. But just as she becomes accustomed to this new lifestyle, Rilla’s talent is discovered, and she is forced to become a caged pet trinket to the emperor. Closed off to any human contact, Rilla is not allowed to speak to anyone, unless she is commanded by the courtiers to sing and heal their illnesses. And then Fate intervenes again when Rilla accidently commits a crime unforgiveable by the palace. With the help of Prince Carrick, Rilla is able to escape. Now a fugitive from the law, Rilla’s only source of help comes from the charming slave boy, Aiden. Together, they discover they are Seracedar’s only hope to restore order to the kingdom and abolish the oppressiveness of Terran’s reign once and for all. And Rilla learns that the measure of her worth comes not from the value society has bestowed upon her, but on how much she values herself.